Following our successful AQUATECH 2017 exhibition we were asked to specify a complete Reverse Osmosis system complete with all the pre-treatment for a strawberry farm. We worked alongside an experienced installation company who we have co-operated with on many occasions, our proposals were accepted and the plant installed. 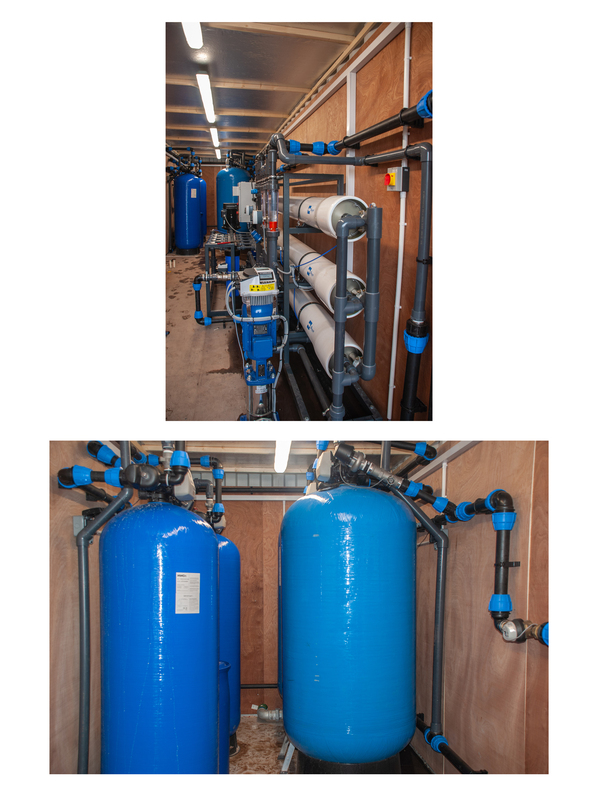 The RO system and pre-treatment has been installed in a modified shipping container – the photographs taken during installation and commissioning. A full case study is due here soon – watch this space! This case study will follow the journey of a product from its arrival in our warehouse to its installation on site to give you an idea of the quality of service and attention to detail that you can expect as a customer of J&F Water Treatment.